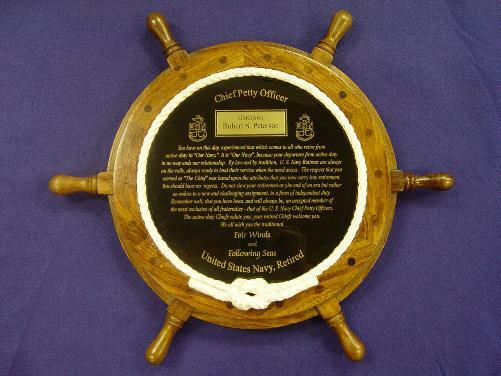 The Original Ships Wheel Shadow Box!!!! 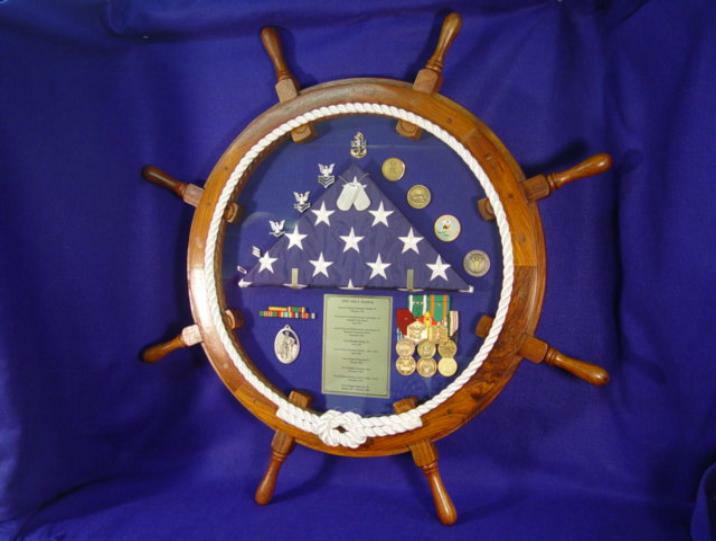 36" Ships Wheel Shadowbox ONLY $225.00 + S&H !!! template to fold the flag around. and in most cases can be shipped that same day. much. 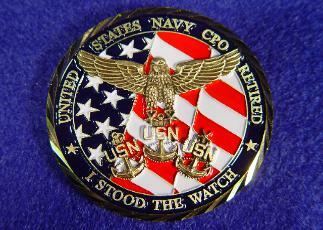 The command history can be emailed to us. Usually ships within 1-3 days in most cases. The flag should not be bigger than 3' x 5'. Bigger flags don't fold thin enough to fit. !!! 3 X 5 nylon flags folded & ready to mount available for only $25.00. !!! call us with the card info rather than emailing it. through so give us a call or try sending it again. 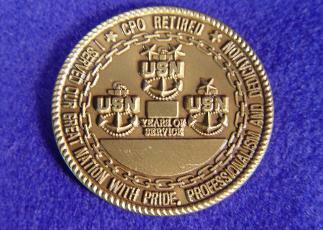 "CPO Retired" Coin - $7.00 ea. !! Folded Flags only $25.00 !! !!!! 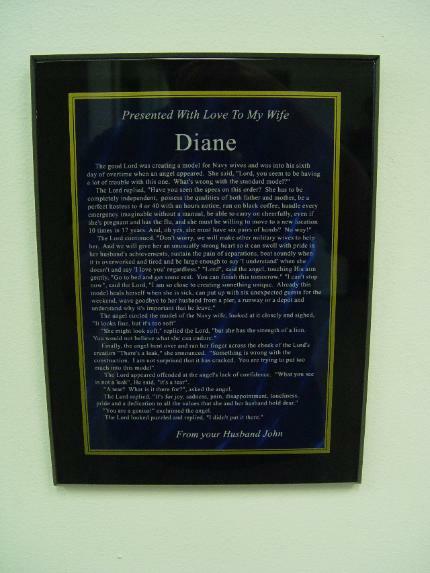 For Your Wife !!!! !!! 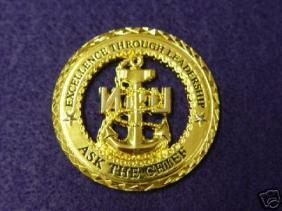 Please call 800-765-8277 to confirm your order !!! 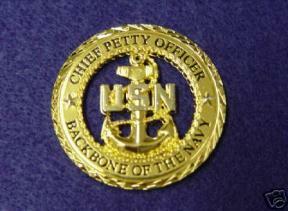 Anchor Cutout Coin - $7.00 ea. 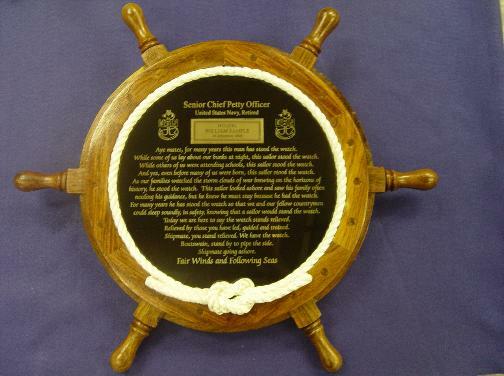 18" Ships Wheel Plaque available with many different sayings. 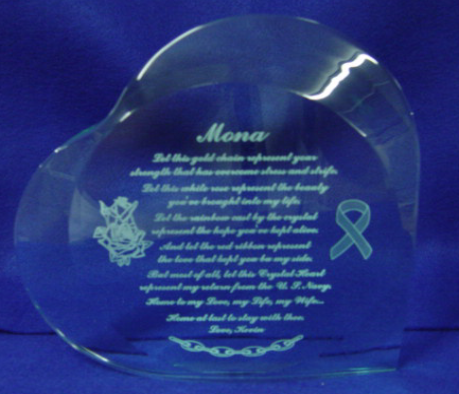 Specializing in Unique, High Quality Awards and Gifts !!! !!! 1860 Naval Cutlasses !! !